Jaguar Land Rover, owned by Indian conglomerate Tata Motors, Thursday announced around 4,500 job cuts worldwide after the British high-end carmaker was hit by dwindling sales in China and concerns about UK’s competitiveness post-Brexit. “We are taking decisive action to help deliver long-term growth, in the face of multiple geopolitical and regulatory disruptions as well as technology challenges facing the automotive industry,” Dr Ralf Speth, Chief Executive Officer of Jaguar Land Rover (JLR) said. 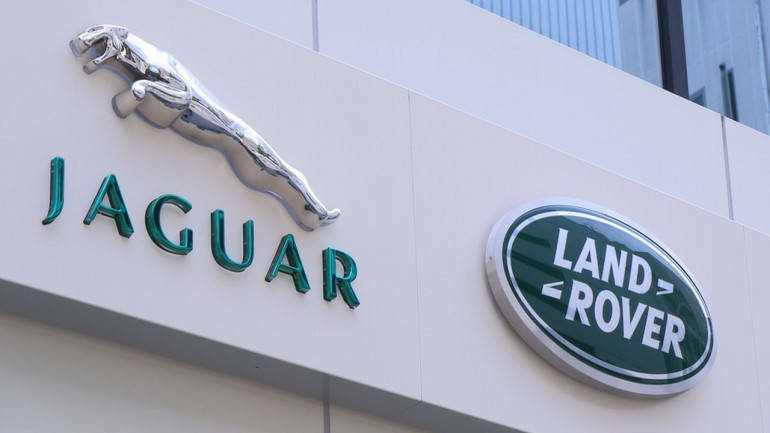 The company is expanding a business-wide organisation review aimed at reducing the size of its global workforce by around 4,500 people, JLR said in a statement. This is in addition to the 1,500 who left the company during 2018. The next phase of this transformation programme will begin with a voluntary redundancy programme in the UK. The strategic review will create a leaner, more resilient organisation with a flatter management structure, JLR CEO Speth said. The JLR’s manufacturing is centred in the UK, with additional plants in China, Brazil, Austria and Slovakia. In India, the company has an assembly unit in Pune. The BBC reported that the substantial majority of the 4,500 job cuts will be from JLR’s 40,000-strong UK workforce. Most of the cuts will be in office roles as the company wants to simplify its management structure, it said. China is JLR’s biggest and hitherto most profitable market. In China it has hired 4,000 workers since 2014. The JLR has been saying for more than a year that Brexit uncertainty would eventually take its toll on the perception of the UK as a stable and competitive base for global manufacturing. In July last year, the company said it needed more certainty around Brexit in order to continue investing in its UK operations and warned that a “no-deal” Brexit would cost the company more than 1.2bn pounds in profit each year. The UK is due to leave the 28-member European Union on March 29, 2019. JLR’s retail sales in 2018 totalled 592,708 vehicles, down 4.6 per cent compared to 2017’s record year, the company statement said. The introduction of the Jaguar E-PACE and I-PACE led to Jaguar’s best ever annual sales results in 2018 up 1.2 per cent to 180,833 units. However, this was more than offset by market weakness in China impacting on sales of established models. The lower sales in China (-21.6 per cent) were partially offset by stronger sales in North America 7.2 per cent and Overseas (7.3 per cent), the statement said. Weaker market conditions primarily relating to diesel and Brexit also weighed on sales in the UK (-1.5 per cent) and Europe (-7.8 per cent). Retail sales for the month of December were 52,160, down 6.4 per cent year-on-year primarily reflecting ongoing challenging market conditions in China (down 42.4 per cent) as slowing economic growth and trade tensions with the US continue to impact automotive sales volumes across the industry, which were lower for the sixth consecutive month. The company said it continues to work closely with retailers in China to respond to the present market conditions in the country. China’s annual passenger car sales fell last year for the first time in more than 20 years as the trade war with the US rocked consumer confidence and Beijing reined in car financing channels. Passenger car sales fell to 22.4 million vehicles in 2018, down 5.8 per cent from a year earlier, the China Passenger Car Association data showed Wednesday. The JLR pointed out that in 2018, the company continued its global expansion with the opening of its latest vehicle manufacturing plant in Slovakia as well as investment into specialist engineering hubs in the Republic of Ireland, Hungary and Manchester, UK. In the same year, the JLR also confirmed plans to invest in its Solihull plant to support the introduction of the next generation Range Rover and Range Rover Sport. “The next chapter in the story of the Jaguar and Land Rover brands will be the most exciting – and challenging – in our history,” Speth said. Investing in cleaner, smarter, more desirable cars and electrifying JLR’s facilities to manufacture a future range of British-built electric vehicles will all form part of building a globally competitive and flourishing company, he said. Tata Motors acquired the Jaguar Land Rover businesses from Ford Motor Company in 2008 for a net consideration of USD 2.3 billion in an all-cash transaction.